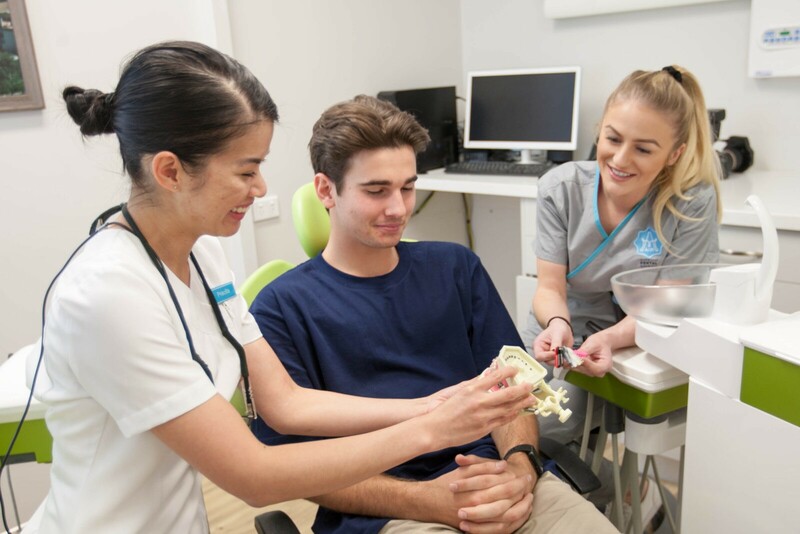 For orthodontic treatment in Woodvale, Maddington, and Merredin, Aim Dental Group is the best choice for delivering quality dental care. Though traditionally carried out on children, orthodontics are becoming an increasingly popular treatment with adults who want to straighten their teeth. Orthodontics improve the appearance of your smile and the functionality of your teeth and gums. If you come to Aim Dental Group for orthodontic treatment, we’ll carry out a full oral examination to establish the state of your teeth and gums and identify any underlying conditions. This usually involves taking X-rays and making plaster models of your teeth. We’ll then discuss our findings with you, explain your options and decide on the best way forward for your individual needs. Once the decision has been made to have orthodontic treatment, we can begin the process. Aim Dental utilises one of the first customizable orthodontic systems on the market to give patients the smile that they will love for the rest of their lives faster and more predictably. More importantly, the results are also more stable. Make an appointment with Dr Priscilla Lam to discuss your orthodontic needs today!